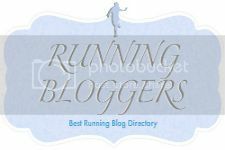 Food, Running, and Other Ramblings: New Shoes! Today I woke up excited! I knew that I was going to go check some running shoes out. I had tried some on the other day, but wanted to check them out online to see if I was getting a good deal or not. After some research I decided I was. I got up and had some toast with jelly, coffee, and banana and pear. I ate it while watching, you guessed it, I Love Lucy! After that, I got dressed and headed out. It takes about half an hour to get down to the outlet mall where I was going. I decided to try on a bunch of different ones again to make sure of which one I wanted. Last time, I didn't really spend time trying on other shoes. The ones I ended up with are just a bit too big and it causes a lot of problems. My toes and arch are sore from my foot sliding around in the shoe while running. I did not want to have to deal with that again so I made sure to take my time. I finally decided on some Nike Zoom Vomero's. I remember looking at these years ago when I was still wearing the Nike Pagasus. They just weren't around for me to try on at the time. They have a wider fit and don't sit too high on my heel, which I seem to have a problem with a lot of shoes doing. They are also not too cushioned. For some reason that bothers my feet. Another great thing about these shoes? They were an extra 30% off! I got a $130 pair of shoes for $50! It was a great day. So to celebrate, I stopped at McDonald's and picked up some crack...I mean Coke. Diet Coke. There is something about their Diet Coke that I really love. I have not had it in months! It was almost noon when I got home. I wanted to take my new kicks out for a test drive before work, so I quickly changed and took off. It was a really beautiful day out, even though it looked a bit overcast and dark in some areas. I just love these fall days and am glad I run outside so that I can enjoy them! They sure don't last that long! So, I ended up taking a 2 and a half mile run just to get the feel of the shoe and to make sure they weren't going to cause problems. They felt good. I don't remember the last time I had to actually break shoes in. After that I had a rather large lunch. I had 2 cheese sandwiches ( I would have been satisfied with 1), apple with peanut butter, a clementine, and some apple juice. It came in just under 1000 calories when I logged it. I was SO surprised. That is a very large lunch. For dinner I had the very same thing I had yesterday. I had the Smart One with 2 Boca patties and a Chobani. When I got home there were Swiss Rolls on the kitchen counter. I really, really wanted one. I use to love eating those when I was younger. I would put them in the freezer and eat them frozen. Yum! But, I can't make any excuses for them now. I don't need them, they really aren't that good, and if I have one I will automatically want more. It's just how I am. So, it's better to just ignore them until they are gone.